Conveniently located at the SM Mall of Asia Complex in Pasay City, Shore Residences offers the finest in resort living with an exclusive beach-like amenity right at the heart of the development. Everything is within reach – from the numerous shopping and dining selection of SM Mall of Asia to the thriving array of activities and attractions in the Entertainment City. Enjoy leisure at its best at Shore Residences. Shore Residences is a condo project developed by SM Development Corporation, Units range from studio to 2 bedroom. Shore Residences at Mall of Asia Complex, Pasay has the following facilities: garden, playground, security and swimming pool. SM Development Corporation has also developed projects such as Air Residences, Cool Suites, and Fame Residences. There are 14 condos for rent in Shore Residences available from ₱30,000 to ₱130,000 per month (based on 1 year rental term). SHORE RESIDENCES 一方一厅 MANILA BAY VIEW - 1BR with balcony RFO. Shore 3 Residences Mall of asia Condo with 10% Promo Discount 27k Monthly No Spot dp. 1 BR Condominium in Shell Residences Pasay. 1 bedroom Unit without Balcony in Shore Residences Pasay, Metro Manila, MOA Complex. 1 Bedroom with Balcony in Shore Residences Pasay City. 1 bedroom with Balcony for Sale in Mall of Asia Complex. South Investment Shore Residences Condo in Pasay Mall of Asia Complex. SMDC Sea ,Shell,Shore 1,Shore 2 & Shore 3 Residences Mall of Asia Pasay City Condominium. Shore 3 Residences 10% Discount Promo 21kMonthly. SHORE RESIDENCES MOA PASAY 1 BEDROOM with BALCONY 一房一厅马尼拉湾 5.4 万 MOA. Shore 2 Residences Perfect Investment Condo in Pasay Mall of Asia Complex. SHORE RESIDENCES - READY / BRAND NEW UNITS FOR SALE. 1 Bedroom unit in Shell Residences for Sale in Pasay Metro Manila, Moa Complex. 1 bedroom condo for sale in Shore Residences Mall of Asia. 1 Bedroom unit in Shore Residences 1 with Balcony in Pasay City. SHORE 1,2 & 3 Residences Condo Unit in Pasay City. Newly-turned over 1 bedroom unit in Shore Residences. SHORE RESIDENCES MALL OF ASIA - MOVE IN SOON! 1BR W BALCONY. Condo unit for sale Shore 1 2 3 S Residences unit for sale. December Christmas Best Deals - Shore Residences. Shore 1 Residences Mall of Asia. Shore 3 Residences - MOA, Pasay. 1 bedroom condominum Near Airport. Condo near MOA Solaire City of Dreams NAIA. Condo for sale in Mall of Asia Manila SMDC Bay City Shore. FAMILY SUITE B W/ BALCONY. SMDC Shore Residences in Mall of Asia, Pasay City. low monthly Condominium in Macapagal Near Mall of Asia ( Pre-selling). SMDC Shore Residences MOA, Pasay! Hurry! 1 unit LEFT!. 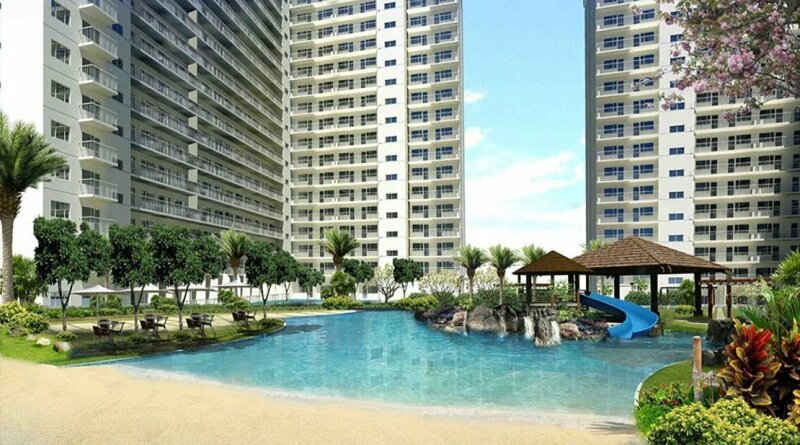 Condominium for SALE in Shore Residences, Pasay City. STAR Life living at Shore Residences. Condo near mall of Asia with Manila bay View. Family Suite with Balcony Condo Unit near SM Mall Of Asia. Shore 3 Residences - SMDC MOA Complex. Shore 1 Residences 2 BR for sale facing amenities near MOA. Shore 2 Rush Sale! 1 Bedroom 17th Floor. 1 Bedroom for Sale in Pasay. Shore 3 Residences Condo in Mall of Asia Pasay City. Condo in Pasay near Mall of Asia 1 Bedroom Shore Residences. Rent To Own condo in Pasay City Mall Of Asia Shore Residences near Airport. Shore Residences Condo in Pasay for Sale 1 Bedroom. Condo in Pasay 1BR at Shore Residences near SM MOA. 1BR, Shore Residences, MOA Complex, Pasay City, Metro Manila. Shore Residences 1 bedroom with Manila Bay view. Resale 1 Bedroom Unit in Pasay City near Mall of Asia MOA Manila Bay Shore Residences 1. Preselling Good Investment condo in pasay Shore 3 Residences. For Investment Condo in Pasay. Parking for Sale PROMO TERM 100% payable in 10 years 0% Interest until March 31, 2019 only. Shore 3 Residences 1-Bedroom Condo for Residences. 20% Discount for Shore Parking for Sale PROMO TERM 100% payable in 10 years 0% Interest until March 31, 2019 only. For Sale Ready for occupancy/rental buss. in MOA, Pasay Metro Manila. 1 Bedroom Condo Unit at Shore Residences MOA Complex Pasay City. Shore Residences 1-Bedroom Condo for Sale. Shore 1 Tower C 37sqm big cut Foreign-owned. 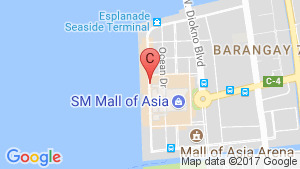 Condo in Shore MOA Pasay. SMDC SHORE Residences 1BR For SALE in MOA, PASAY CITY!. Shore Residences Studio Condo for Sale. 1BR in Shore Residences 3. Shore Residences, 1 Bedroom for Sale. Shore Residences Tower C 1 bedroom with balcony Facing Manila Bay view. Shore Residences fully furnished 1 bedroom with balcony facing manila bay view ,. Shore Residences 1-Bedroom Condo for Rent. RENT: SHORE RESIDENCES BY SMDC. Western Standard Condo Unit for rent in Shore Residences Mall of Asia Complex Pasay City.